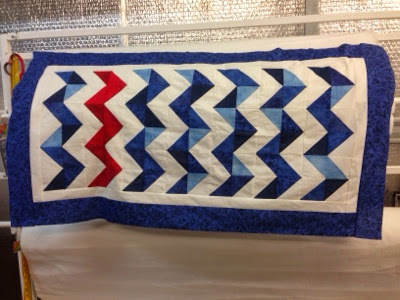 Quilting is my Down Time: Quilt top finished. Look what I finished tonight. I am so in love with it. Finished it off with my new machine. A Husqvarna, compact to travel with me when I go away. Now to make a second top for another baby boy who was born yesterday. It's lovely Simone. The dash of red works really well. Looks great, Simone. Well done! Woohoo! Well done. How compact is your sewing machine? Is it really small? I am with you Simone. The quilt looks fabulous. That red does work really well even though I wasn't sure about it. Your new little machine looks great.. Nice to have one that portable.. Wonderful work , love that compact machine . 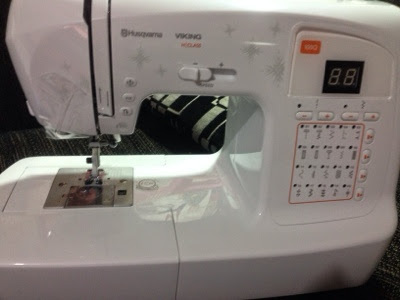 I just got a baby janome for travel so much easier to carry.